Eating vegan isn’t my usual thing, I’ll admit, but I am a vegetarian, and the two come pretty close in some ways. One of the unfortunate similarities is that it’s always a little difficult to find restaurant options that’s both delicious AND vegetarian or vegan. But in the last decade or so I’ve noticed a shift in the food scene – more vegetarian options, more vegan cooking. 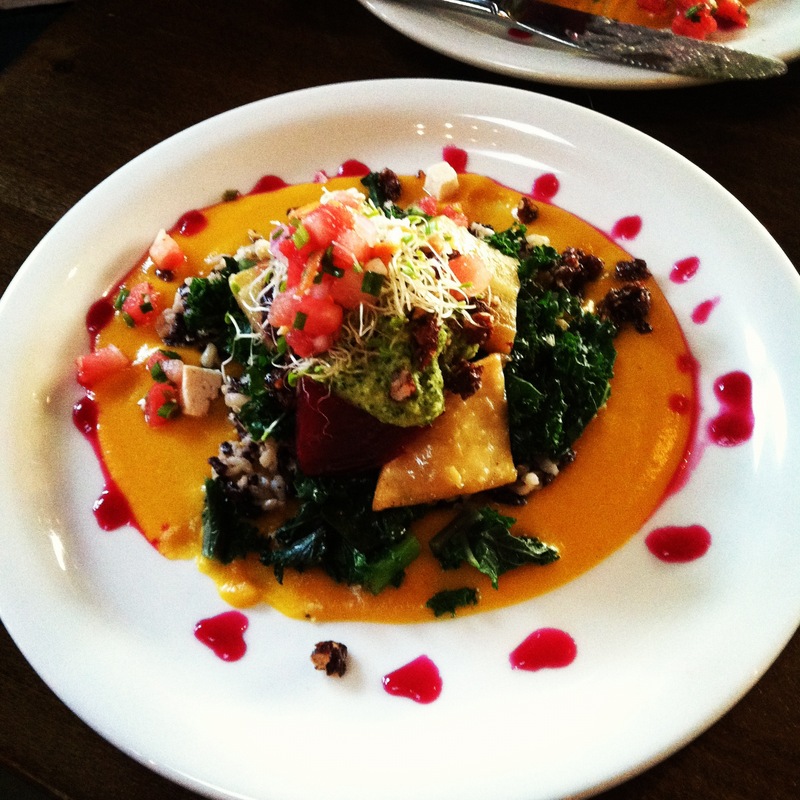 One of the most amazing new vegan restaurants in the San Diego area is Casa de Luz in North Park. 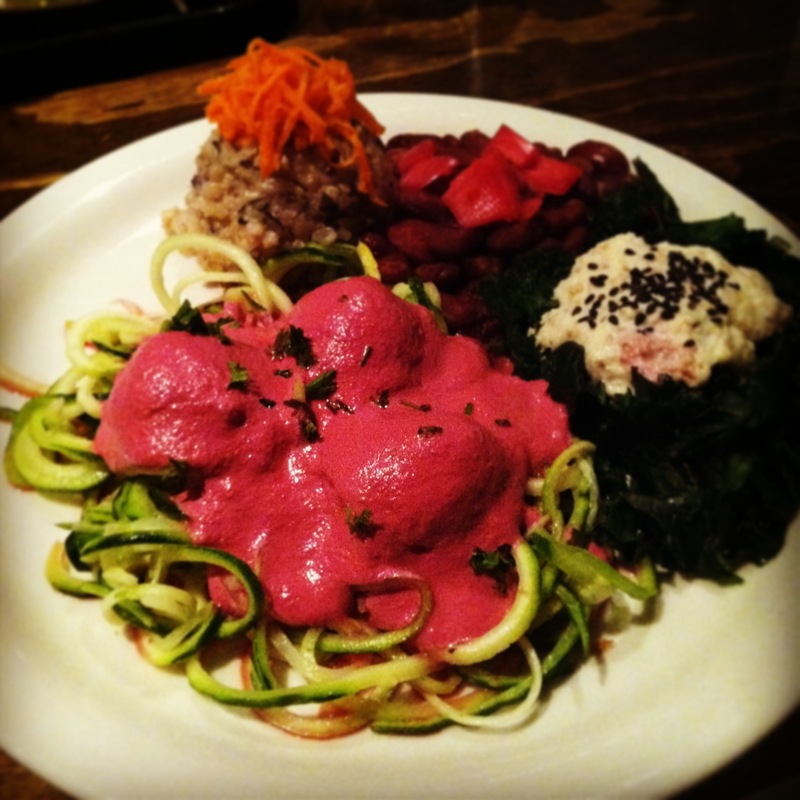 It’s pretty much unique in every way possible – they have an all organic, vegan and macrobiotic menu – and encourage a community culture by offering huge round or long tables through the entire restaurant. Rather than the standard menu affair, each meal (breakfast, lunch, dinner) features one entree, one soup, and one salad based on their chef’s selection. And the best part? The food is just fantastic, and healthy to boot. I’ve personally found one of the most intriguing parts of almost every meal is the sauces that cover the vegetables or grains served. When I discovered that Casa de Luz also offered cooking courses, I jumped at the first opportunity to take a class on vegan sauces. I braced myself, expecting elaborate preparations and recipes, but as long as you’ve got a food processor at home, these are surprisingly easy to make. This sauce adds a nice punch to kale, beans, or grains. 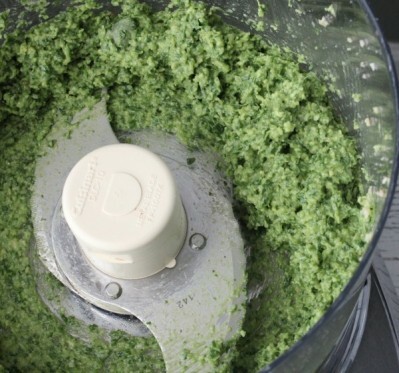 In a food processor, combine sunflower seeds, and the cilantro, roughly chopped. Toss in the chopped parsley, ume vinegar, garlic powder, and lime juice. Start with about 1 cup of water, and set the food processor running – first start slowly, then as things start blending together gradually turning up the speed. Once everything becomes more paste-like, carefully add in the second cup of water. Add in salt and pepper to taste. The end result should look a bit like pesto. This soft, creamy sauce comes really close to real sour cream, but of course, there’s no dairy in it. It goes great over sweet potatoes or as a topping to tacos or burritos. Drain the tofu. 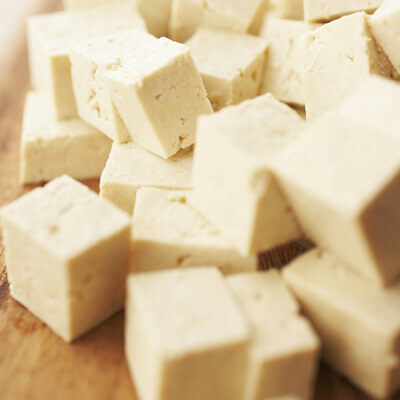 Cut up the tofu into smaller pieces and spread them out evenly in the food processor. Add the olive oil, maple syrup, white onion powder, garlic powder, lemon juice, and ume vinegar. Add a little bit of water (start with a 1/3 of a cup) and start start the blender slowly. Once everything begins blending together, gradually build up speed and add more water to the desired creamy texture. For added sour, add lemon. To round out the flavor, add more maple syrup. Add salt and pepper to taste. Here’s the result of my homemade vegan dinner, Casa de Luz inspired. Bon appetit! 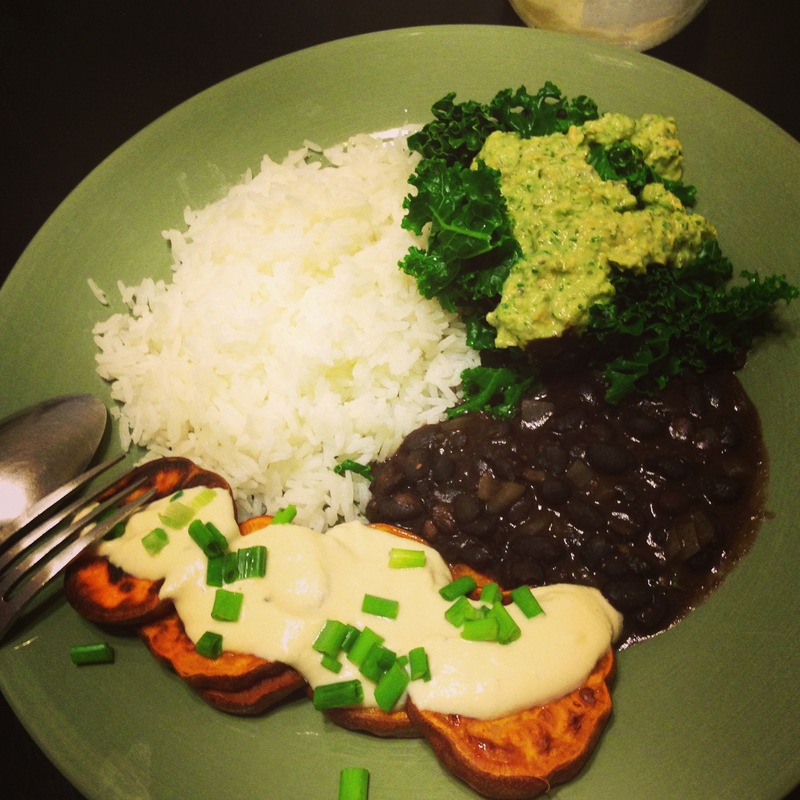 Roasted sweet potatoes with tofu sour cream and green onion, black beans, blanched kale with cilantro pepita sauce, and jasmine rice. This entry was posted in Do, San Diego, Stuff we love, Taste.